A flexible and convenient solution to repair problematic manhole reinstatements in bituminous and concrete surfaces. 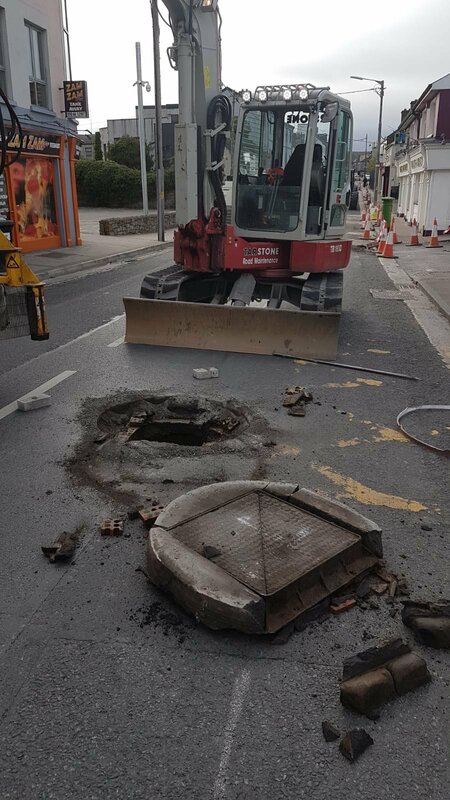 Manhole Covers, Gullies, Sluice Valves, Fire Hydrants, Gas Valve, Water Valve, Eircom ,ENET and Broadband boxes and other street furniture all raised and repaired in ROADMASTIC Polymer Modified Mastic Asphalt. 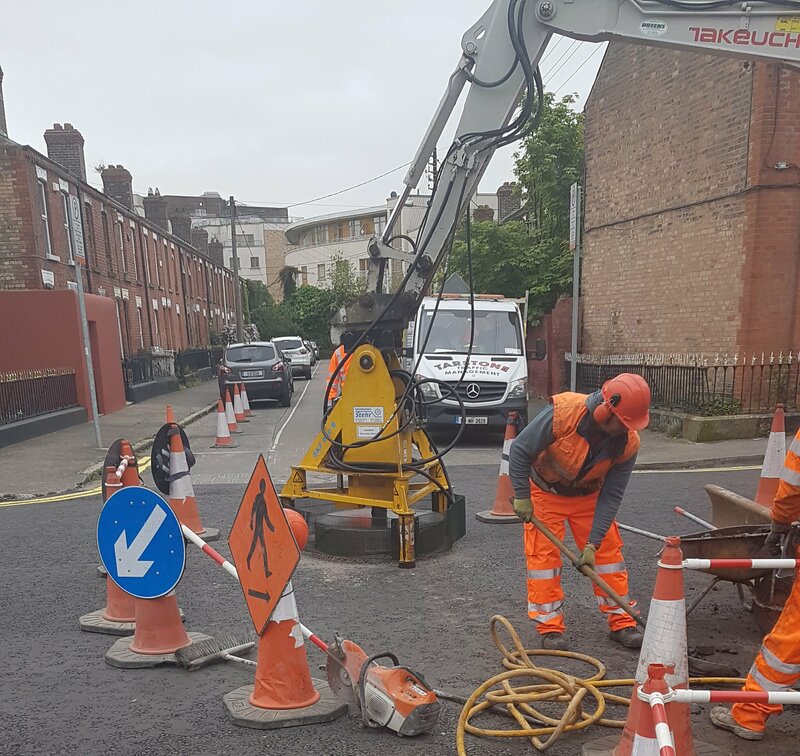 Our trained crews are in constant demand and have carried out installations in all areas of Ireland and the UK. 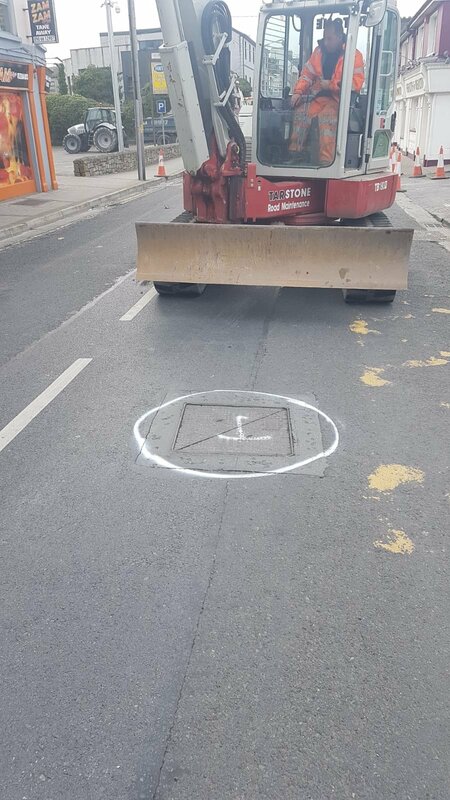 • Viewing the following practical demonstration and technical information will give a better appreciation of the economic and practical advantages of the use of the ROADMASTIC Ironwork Installation and Refurbishment contracting service. 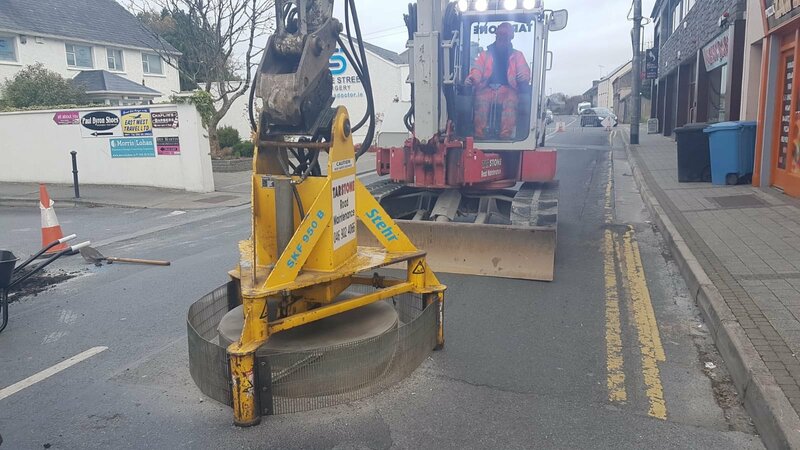 This machine specialises in delivering perfectly repaired potholes and ironworks as it completely removes the pothole along with any damaged surrounding surface area. 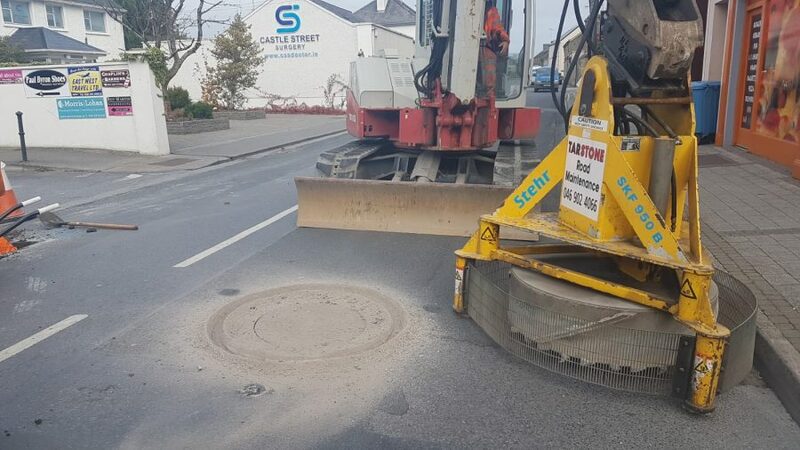 It guarantees a first time repair as it fills the pothole with precisely the correct amount of asphalt which ensures the pothole does not reoccur. The design of this machine focuses on eliminating HAVS (Hand – Arm Vibration Syndrome) which aids in the safety of any of its operators.